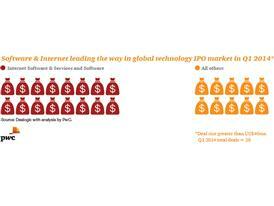 The reopening of the Chinese stock exchanges, continued rising of investor confidence and surging equity markets all contributed to an active first quarter for technology IPOs, according to PwC's Q1 2014 Global Technology IPO Review. Year over year, the number of technology IPOs increased 160% (26 versus 10) and proceeds increased four-fold to US$6.8 billion. 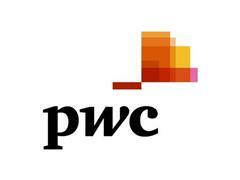 Raman Chitkara, Global Technology Industry Leader, PwC, said:"Momentum from Q4 2013 led to a very strong start for technology IPOs in 2014. Investors continue to demonstrate a strong appetite for high-growth companies with disruptive technologies. 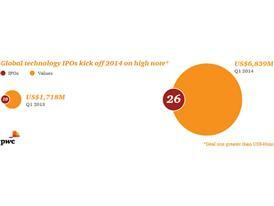 This should lead to continuation of a positive environment for technology IPOs in 2014." 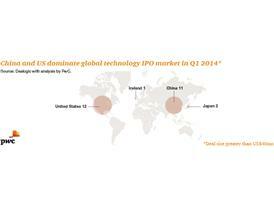 Geographic distribution for tech IPOs during Q1 2014 was spread among four nations: China, Japan, Ireland and the US. 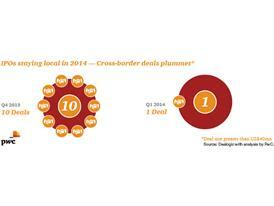 China and the US had the most activity, with 42% (11) and 46% (12) of deals respectively. The Chinese exchanges, which had been closed from Q4 2012 through Q4 2013, demonstrated a noteworthy re-entry into the global IPO market, with 11 Chinese tech companies completing IPOs on the Shenzhen (10 deals) and Shanghai (1 deal) stock exchanges. Two of the largest tech IPOs of the quarter came from Japan, with deals raising 55% (US$3.8 billion) of total proceeds. US companies maintained their growth trajectory from Q4 2013, with 12 IPOs completed in Q1 2014, compared to eight deals in Q4 2013 and six in Q1 2013. 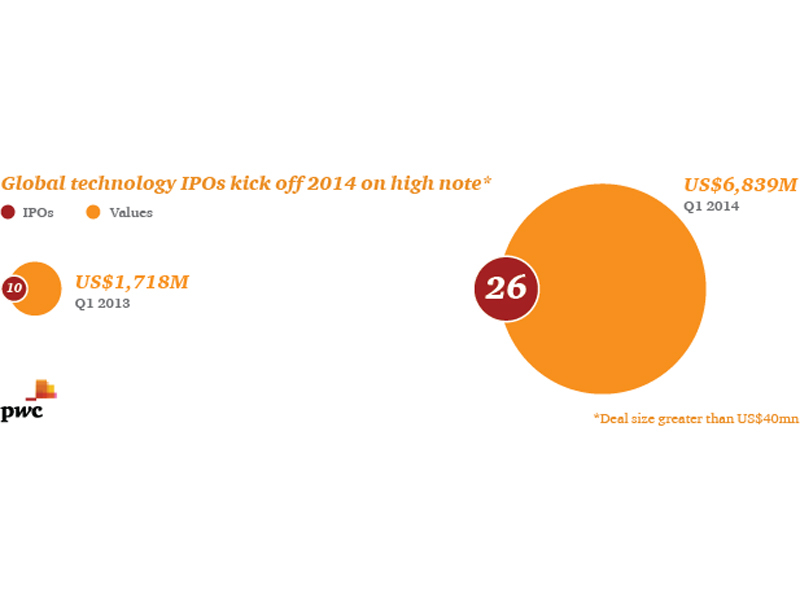 Overall, US IPO proceeds increased 71% year over year, to US$1.6 billion, but declined from Q4 2013. Nine IPOs were listed on the NYSE, a notable showing over the NASDAQ, which brought four US tech deals to market. Though Europe ranked second in all funds raised for IPOs, the region's tech IPOs lagged behind other markets with only one IPO at US$500 million listing on the NYSE. Considering Europe's strong showing in Q4 2013, it remains to be seen if Q1 is the start of a new pattern or an aberration, Chitkara noted. Of the top ten tech deals, only three met or exceeded US$500million and all three were non-US companies. The top two companies raising the highest proceeds were from Japan and the third highest was an Irish gaming company which completed its offering on the NYSE, raising US$500 million. Internet Software & Services led with the most deals, with 11 or 42% of deals, and raised the second highest proceeds with US$1.8 billion. As boundaries between technology and other sectors converge, it is expected that Internet Software & Services will continue its current growth patterns for IPO activity. Computer Storage & Peripherals completed the two largest deals, raising US$3.8 billion. Semiconductor activity returned with US$246 million, a result of the Chinese market reopening. Overall, Internet Software & Services and Computer Storage & Peripherals combined dominated the top ten tech deals, comprising 88% of total proceeds and 71% of the total number of tech IPOs in Q1 2014. *Only deals greater than US$40 million are included.